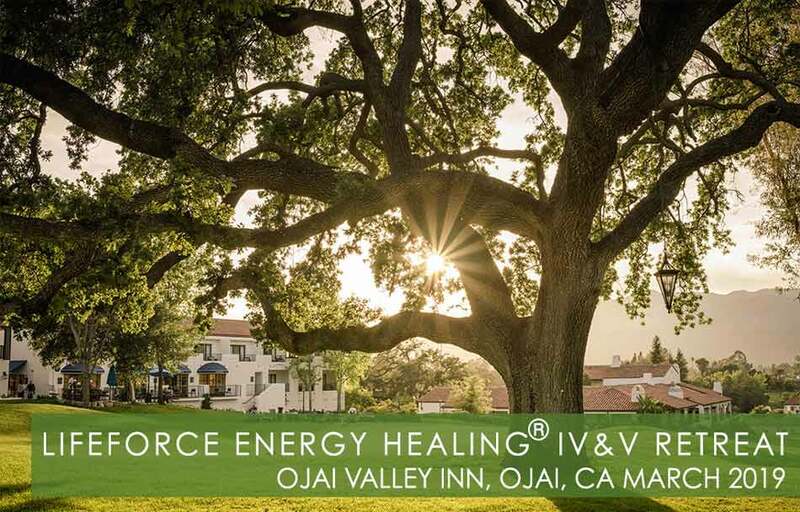 LifeForce Energy Healing® IV & V Reunion at the Ojai Valley Inn & Spa in Ojai, California. Each and every one of us contains the ability to do great things for ourselves and others, but many of us fail to heed that call. Are you ready to step into greatness? As a Master student of LifeForce Energy Healing®, you are being called upon to step up and share your gifts and abilities of healing with others. This special reunion is included as part of your annual fee as a LifeForce Energy Healing® IV Master-in-Training & Graduates. Ask yourself… What could the world become if more of us were to awaken to the truth of LifeForce Energy Healing®? All of your training, all of your experiences have led you to this moment. You are blessed with amazing healing gifts and it’s now time for you to step up and share those gifts with your friends, family, clients and even the world. Deborah King wants to show you how to reach higher levels and master your most natural gifts to heal yourself and others. During this 4-day Master Reunion, nestled among colorful roses, ancient oaks and the stillness of the Los Padres National Forest, you’ll be mystified by the beauty that surrounds you at the Ojai Valley Inn & Spa. The Deborah King Center room block is available at the hotel. Arrange your stay by calling Ojai Valley Inn & Spa at (888) 697-9116 and request the Deborah King Center room block (early arrival and late departure available in the room block). Then email contact_us to let us know you’ve booked and provide us with your name and your roommate(s) name(s). Remember, this reunion is only for Deborah King’s most advanced LifeForce Energy Healing® students and she only conducts three of these events per year. Deborah keeps these events small and intimate for one simple reason – to provide a high level of one-on-one training and coaching for her most beloved students, like you. Take this opportunity to work personally with Deborah King. It’s time to put all you’ve learned thus far into practice by spreading your healing wings so others can experience the remarkable benefits of energy healing with you as their personal guide and spiritual teacher. There is an ever growing need for talented and gifted healers like you to step up and become leaders and beacons of light to guide those who seek their own truth and purpose. Only one important question remains… Are you ready to step into greatness? Finally fulfill your life purpose as a LifeForce Energy Healer at the most advanced level. You are ready to step into greatness and there’s no better time than this present moment.